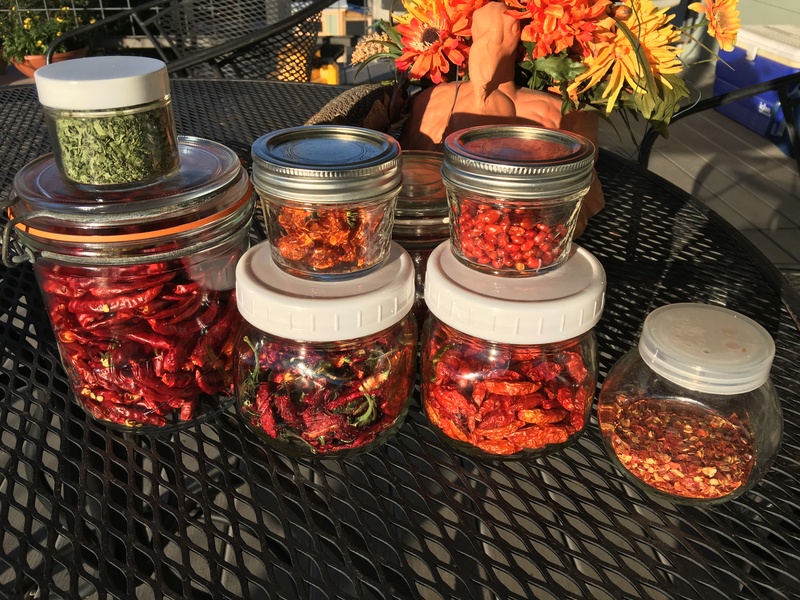 I had a bumper crop of hot peppers this year. 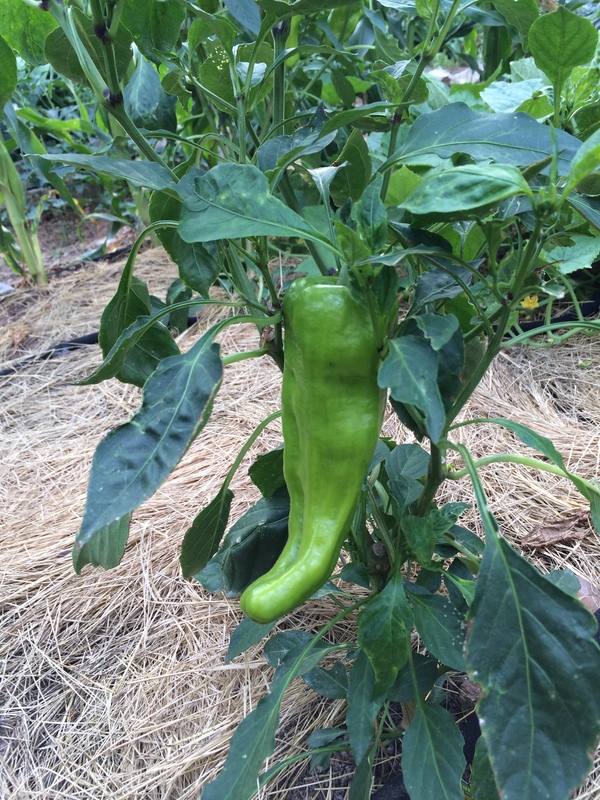 I planted several sweet pepper varieties including green, brown and yellow bell peppers and Cubanelles. The Cubanelles did very well and produced all summer. The bell pepper not so much. This photo is from the end of the season. 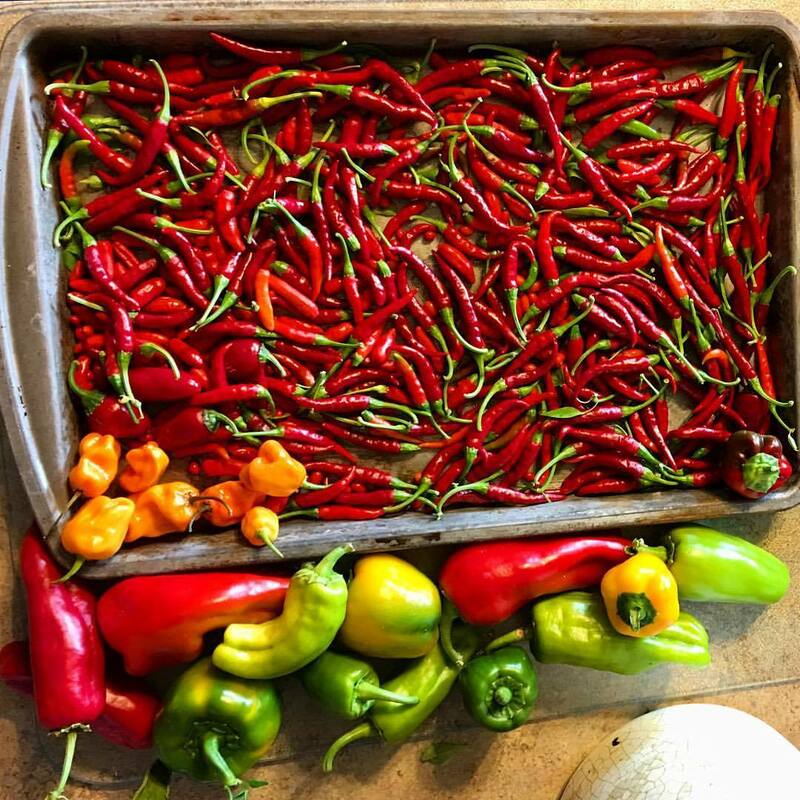 The dragon cayenne is prolific. 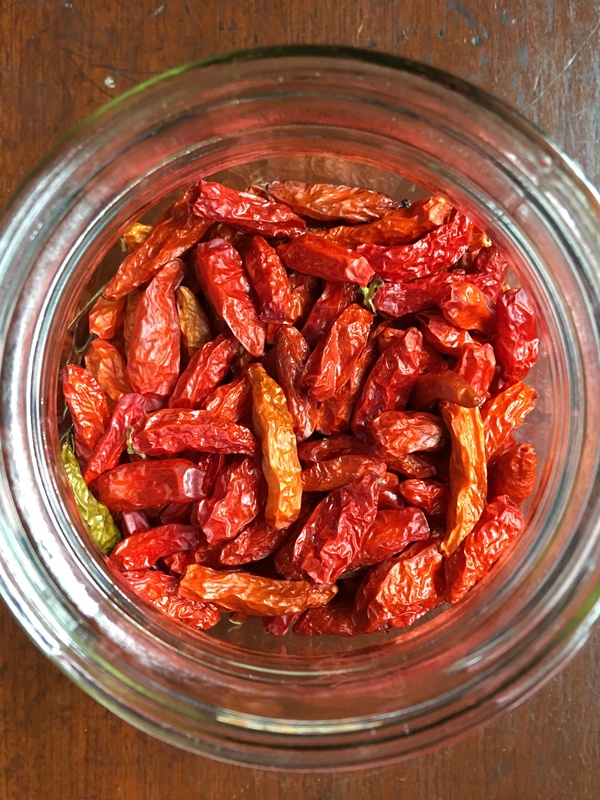 The small orange pepper in the bottom left are the habanero pepper. Here is one of the Cubanelle plants early in the season. 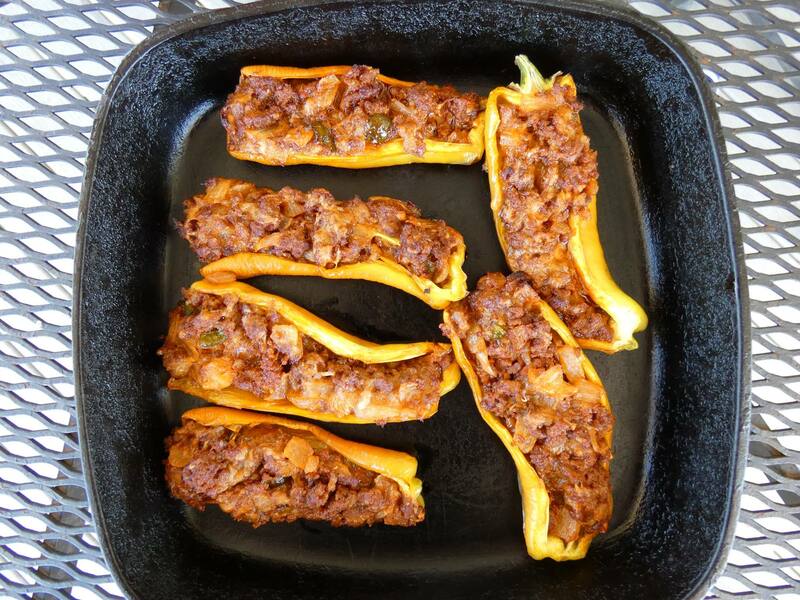 The Cubanelles are great for making stuffed peppers. 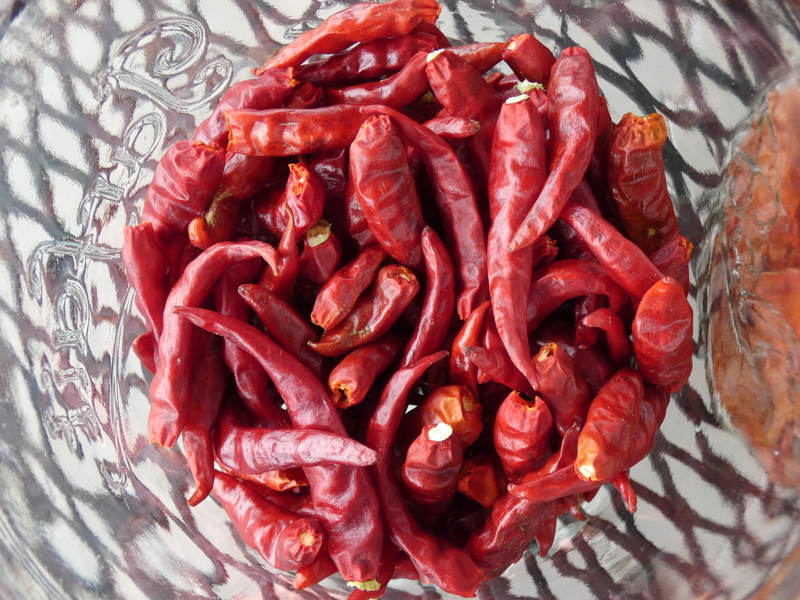 Large, although thin walled, they have a mild flavor. 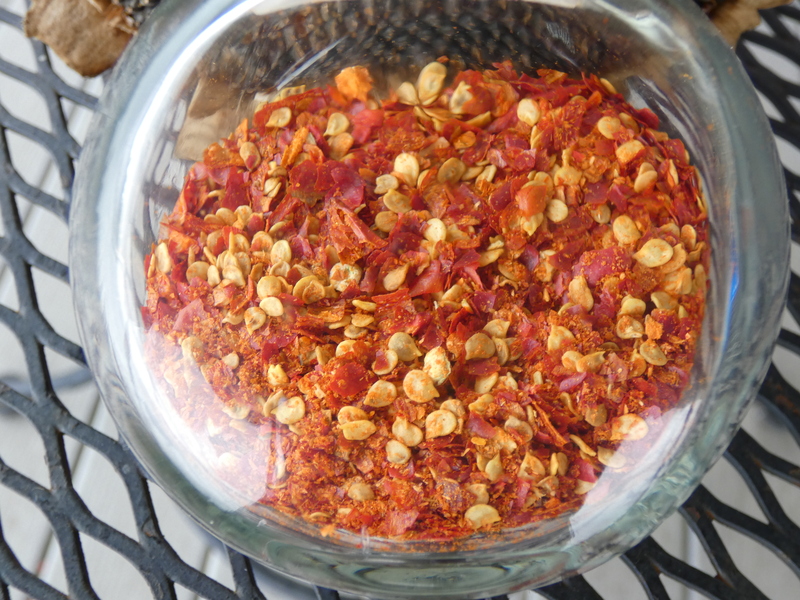 This is a chorizo stuffed pepper recipe I got from Chili Pepper Madness website. They were so tasty. The Cubanelles change color as they ripen, here I used them at the yellow stage. They also turn a gorgeous red color. I only planted one jalapeño plant, one habanero plant, one Tabasco pepper plant, and one chili pequin. It was more than enough. I made pepper sauce with some of the peppers and froze some of the sweet peppers. 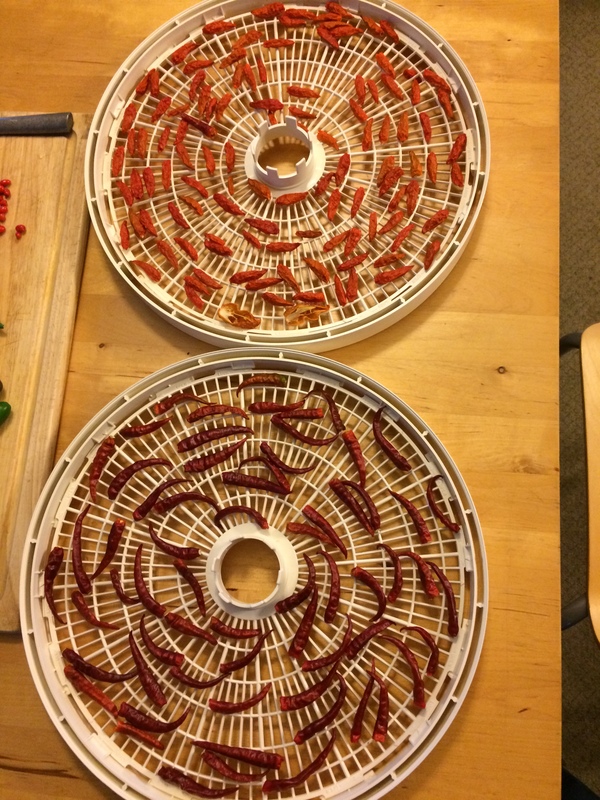 I also decided to dry some peppers. This has turned out to be the easiest preservation method so far. 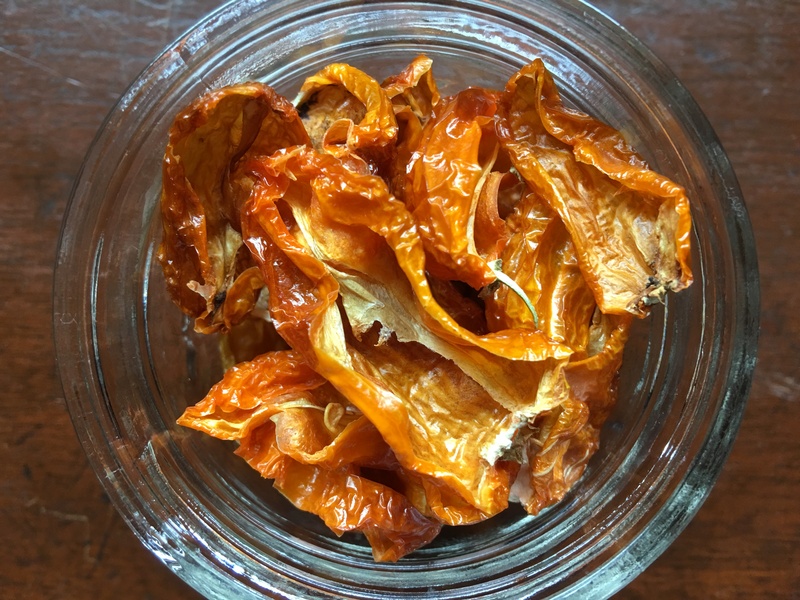 I use a dehydrator that was given to me about 25 years ago. 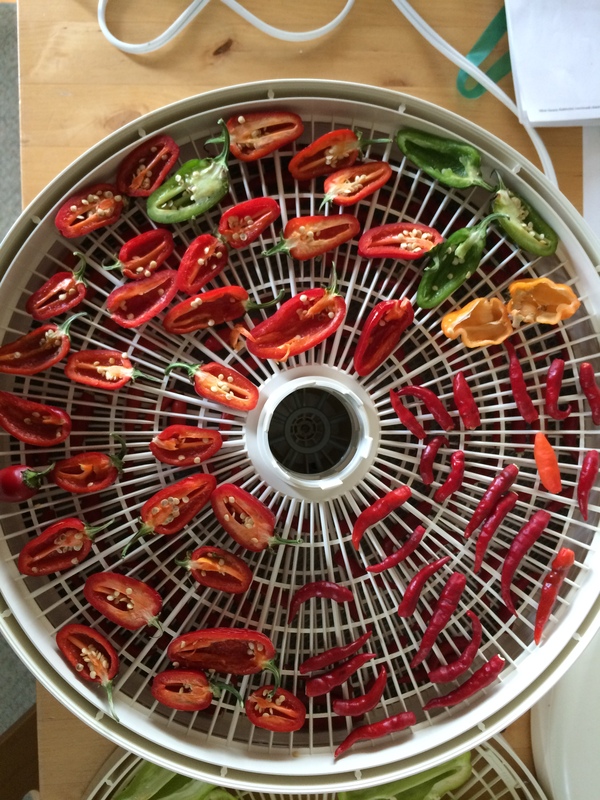 It is American Harvest Snack Master Pro Dehydrator by Nesco. They do not make the exact model I have anymore. Mine works just fine and I have extra trays for it too. 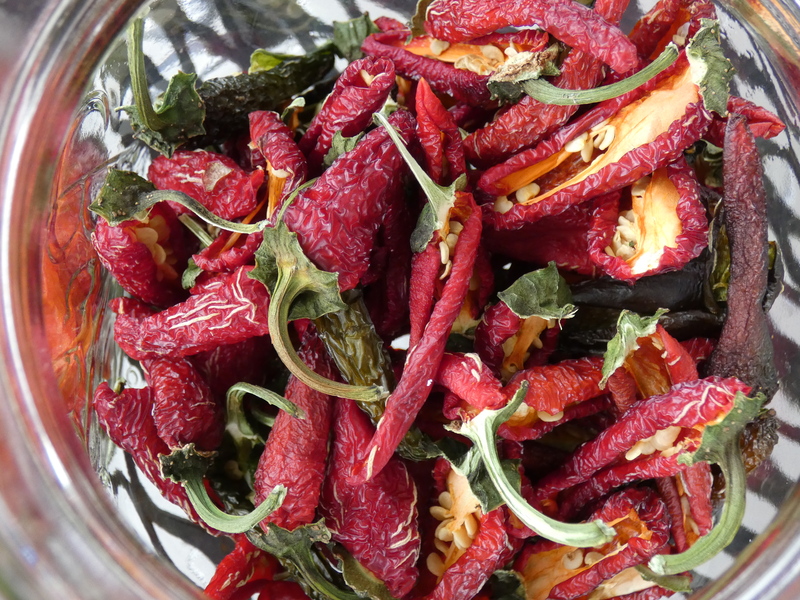 I split some of the peppers – the jalapeños and habaneros, and left the others whole. 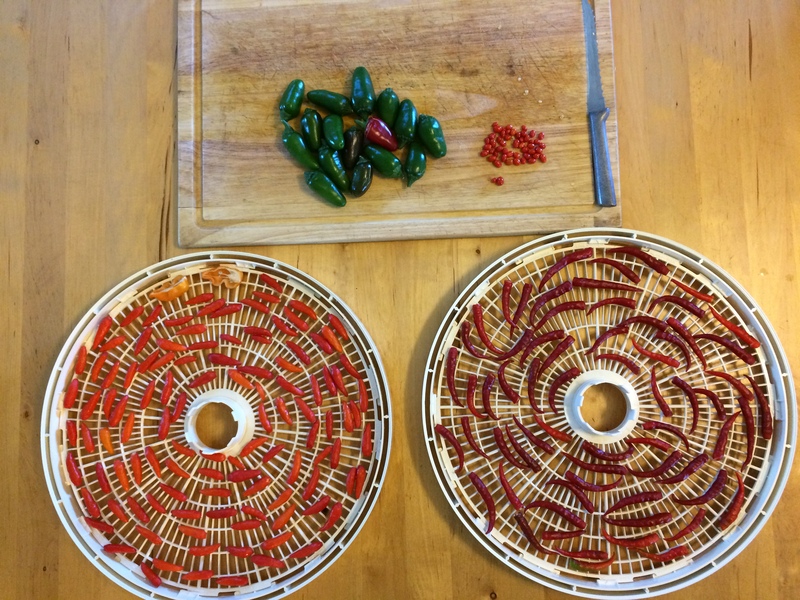 It took about twelve hours to dry the peppers. 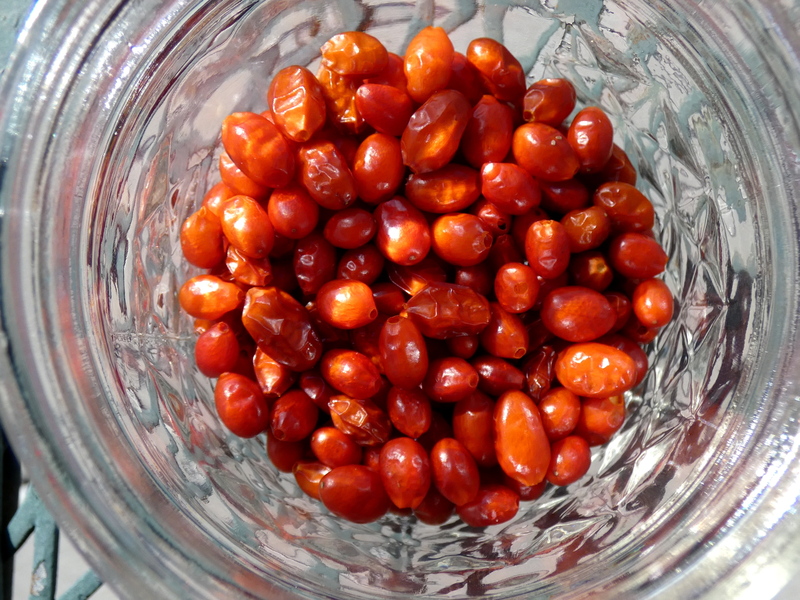 I then stored them in glass canning jars. I also dried some herbs. They dry at a lower temperature and took longer. 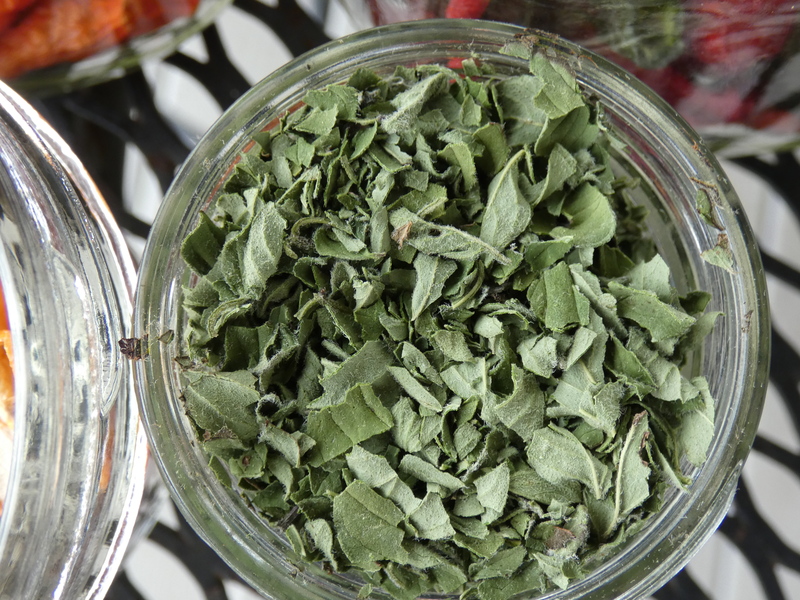 The oregano dried nicely, the basil did not. I ended up freezing the rest of my basil in olive oil or making it into pesto, which I also froze (minus the cheese).